As you might have noticed, I took a few months off from blogging, lasting most of spring and all of summer. To keep it short, I'll just say that the way I was blogging wasn't working out for me so I needed to get away from it for a while, get a new perspective, recollect my enthusiasm, and revamp the blog to suit my new approach. Since you are currently reading this post, you've probably realized that I've done that and (sings) I'm BAAAAAACK! In March, I mentioned 10 books I wanted to read this spring. I also kept a personal list in my notebook for the books I wanted to read this summer, which included 24 books. 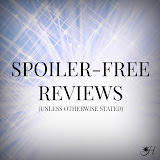 Before posting this, I listed every book on my spring and summer TBR lists, but that was quite the eye sore, so let's just look at the results. What did I read between March 21st and August 21st? Sidenote: I discovered the audiobook rentals my library offers through OverDrive and have found a liking for this method of reading! These are the 7 books I read via audiobook (already counted above). Which books did I not get to read? When going into these books, I either a) did not know what to expect or b) did not have very high expectations. The level of enjoyment I felt as I read these completely caught me off guard! Cruel Beauty takes the cake for most surprising though; I'm still shocked by how much I loved this and obsessed over staying late into the night to read this! Now, don't think I didn't enjoy this, because I did, (four stars worth of enjoyment so there), but I was SO excited for this book, I was expecting to love it so much, and it just didn't reach that threshold. 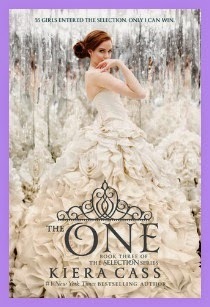 There were a lot of little things that bothered me about the book, but mainly I had anticipated America to not make so many irrational decisions (since the first two books were chalked full of them) and wound up being irritated with her or Maxon half of the time, and the ending wasn't what I was hoping for either. Like I said, I still really liked it, but after loving The Elite, it let me down. Most Likely To Accidentally Be Run Over By My Car. Twice. This was another book that was a let down, but mainly, it just SUCKED. It was frustrating beyond belief, I wanted to call quits multiple times, but then little glimmers of hope shone so I would continue, and THEN I wanted to beat my head against it. Ugh, just, what was the point of this book? To drive my crazy? This series finale can kiss my dairy air. P.S. I have no resentment towards this book at all. I went into this without any excitement. I wasn't a BIG fan of Clockwork Angel and Prince (3 stars each) and the only reason I was reading this was so I could read City of Heavenly Fire. 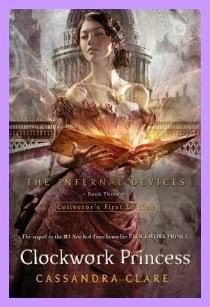 I put Clockwork Princess off for TWO years because I just didn't want to read it and I only started warming up to the idea (or was it discontented acceptance?) of reading it this spring. Even after I started it and was a hundred pages into it I complained about the long descriptions and wanted to get it over with. Thankfully, I switched to audiobook at that point to get me over my initial rough patch and before I knew it I was hooked! 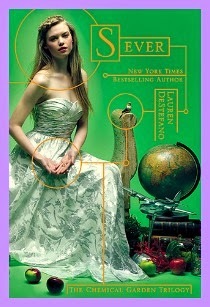 I cannot tell you how much I loved this conclusion to TID trilogy! It was simply fabulous. And they're all so different, which is really exciting for me! I hit the jackpot with wonderful books this summer! I read most of the books I aimed to get to and then some! Early spring was really busy for me so when things slowed down and I took a break from blogging, reading became an even bigger enjoyment for me. Truly blessed with a few months of great reading. Tell me about the books you've been reading! Do we have any in common? Have any new favorites? I'm excited to discuss books with you all again! 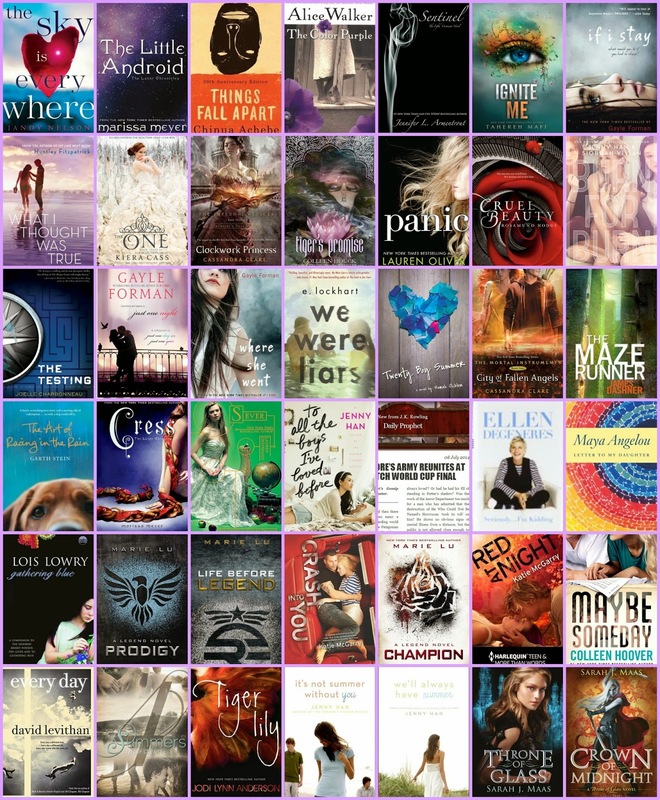 Click HERE to see what books I read this past winter! First post since being back!